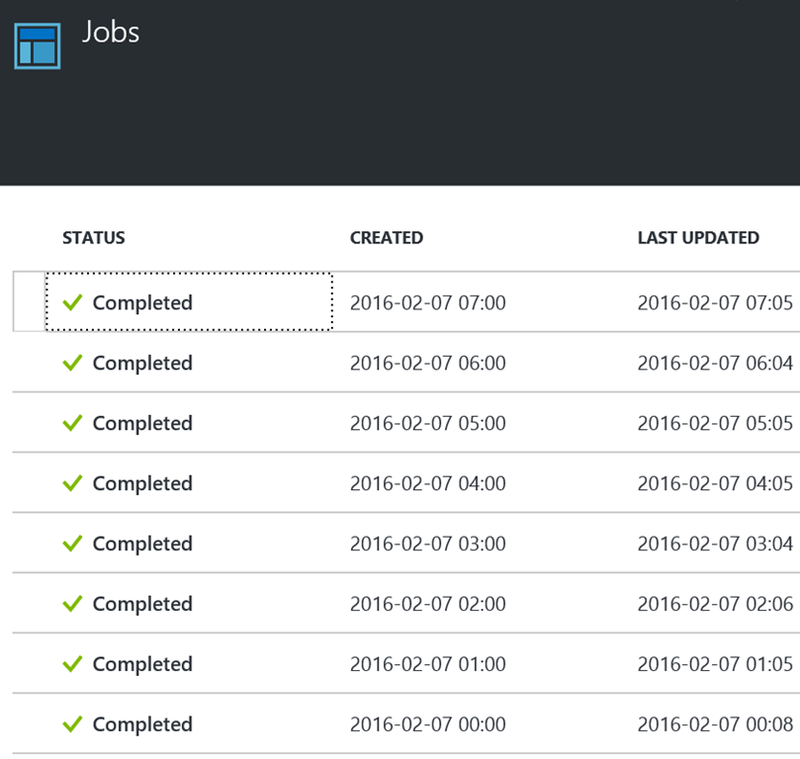 In my last blog post, I showed how to author an Azure Runbook to turn VMs up and down. In order to test it I did put a schedule where at every hour (e.g. 1:00, 2:00, 3:00, etc.) it would start the VMs and at every pass half hour (e.g. 1:30, 2:30, 3:30, etc.). The thing is that I forgot it there so it ran all week-end! So for the better part of the week-end, Azure has been provisionning 2 VMs for half an hour then shut them down half an hour later and restarted the cycle half hour later. I feel like I’ve been tourmenting the damn thing! But at least it shows that it worked well and took about 5 minutes to start both VMs (in parallel), so that sounds about right.